Authors Baylin and Hughes have collaborated for many years on the treatment of maltreated children and their caregivers. Both experienced psychologists, their shared project has bee the development of the science-based model of attachment-focused therapy in this book—a model that links clinical interventions to the crucial underlying processes of trust, mistrust, and trust building—helping children learn to trust caregivers and caregivers to be the "trust builders" these children need. The book begins by explaining the neurobiology of blocked trust, using the latest social neuroscience to show how the child's early development gets channeled into a core strategy of defensive living. Subsequent chapters address, among other valuable subjects, how new research on behavioral epigenetics has shown ways that highly stressful early life experiences affect brain development through patterns of gene expression, adapting the child's brain for mistrust rather than trust, and what it means for treatment approaches. 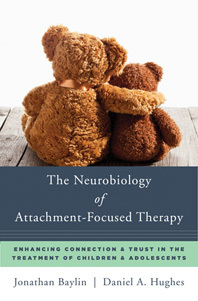 Finally, readers will learn what goes on in the child's brain during attachment-focused therapy, honing in on the dyadic processes of adult-child interaction that seem to embody the core "mechanisms of change": elements of attachment-focused interventions that target the child's defensive brain, calm this system, and reopen the child's potential to learn from new experiences with caring adults, and that it is safe to depend upon them. If trust is to develop and care is to be restored, clinicians need to know what prevents the development of trust in the first place, particularly when a child is living in an environment of good care for a long period of time. What do abuse and neglect do to the development of children's brains that makes it so difficult for them to trust adults who are so different from those who hurt them? This book presents a brain-based understanding that professionals can apply to answering these questions and encouraging the development of healthy trust.